Attorney Leslie Farber is Local Counsel in New York, New Jersey, and Pennsylvania to our BitTorrent Copyright Defense Group. A graduate of Drew University and Pace University School of Law, Leslie Farber has represented individuals and businesses in civil litigation since 1991. 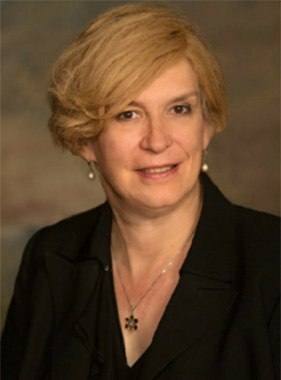 She is licensed to practice in the state and federal courts of New Jersey, New York, and Pennsylvania, and maintains memberships in the American Bar Association, New Jersey State Association, New York State Bar Association and Pennsylvania Bar Association, National Employment Lawyers Association, New Jersey Association for Justice, and is a former Chair of the New Jersey State Bar Association’s LGBT Rights Section. Ms. Farber has also been board member of several non-profit organizations. Jeffrey was a tireless and passionate advocate for me during my case. He used his considerable knowledge, experience, and dedication to bring about a resolution that was favorable to me, against the odds. He treated me with respect and professionalism, and I never felt as if I was just a number. Jeffrey believes in his work and is a genuinely good person with compassion for the underdog. I was lucky to have him represent me and I couldn’t speak more highly of him. I would recommend Jeffrey Antonelli with my utmost confidence and enthusiasm.